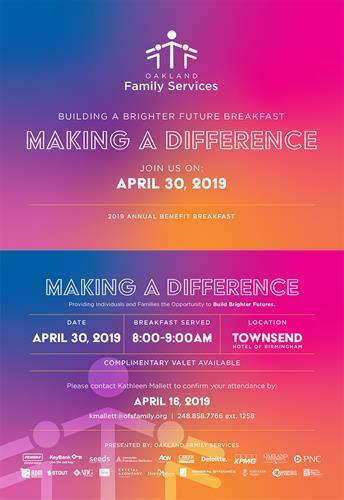 At this free event you'll hear passionate testimonials from clients, board, and our President/CEO regarding the impact of our services in the community. Powerful information about our programs is shared and will make the important case for financial support of our mission. However, even for those that choose not to donate, we make important connections with volunteers, referral sources and supporters. Please plan to arrive no later than 7:45 a.m. to allow time for valet. There is no fee to attend. Complimentary valet for attendees.